What Happens If A Self-Driving Car Crashes? In an attempt to deflect blame from any potential accident, automobile manufactures that produce self-driving vehicles notify their drivers that they must remain under control and free from distractions when their vehicle is in autonomous driving mode. This brings about the question as to what will happen if the vehicle involved in the crash is fully autonomous? Should a person be held liable if there vehicle crashes on its own? These and many more pertinent questions result from this new technology. As of this point, the legal framework has yet to be solidified as to who will typically assume fault in these situations, but manufacturers are doing everything in their power to emphasize that the vehicle’s “driver” is always in control regardless of if they are actually operating the vehicle. The next issue that must be handled is how exactly will autonomous vehicles be insured? If it is ultimately determined that automotive manufacturers are at fault when a self-driving vehicle crashes then the car insurance industry will go through a major overhaul. If it is proven over a longer period of time that self-driving cars are significantly safer, individuals will surely be looking for a decrease in insurance premiums. This reality may send great reverberations through the insurance industry. Regardless of the vehicle you drive, automobile accidents are a common occurrence in life. Unfortunately, an accident can greatly alter the course of one’s life and can cause great health, financial, and social hardships. Unfortunately, following an accident the insurance companies will be doing everything in their power to discredit your situation in an attempt to compensate you as minimally as possible. Fortunately, an experienced personal injury attorney can stand by your side against the insurance company and fight for the true compensation you deserve. 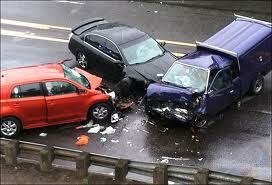 If you have been involved in an accident, do not delay, contact Trial Lawyers USA, LLC today. (678) 882-7355. E-mail: info@triallawyersusa.us. Related Posts: What Not To Do After An Accident, Whose Fault Is It?